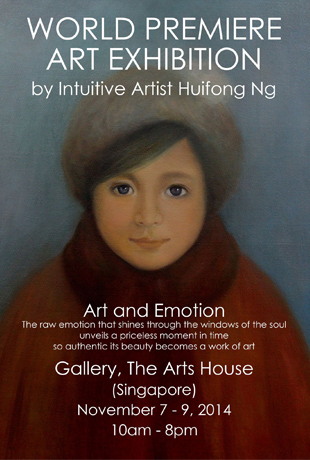 It's certainly been a whirlwind week for artist Huifong Ng. Just a few days after presenting at Bandar Seri Begawan’s first ever PechaKucha Night, the intuitive painter and poet is flying off to neighbouring Singapore to open her solo exhibition. One of the first things the Brunei-based artist mentioned about the exhibition, entitled “Art and Emotion“, was an acknowledgement to the team that is making it happen. This appreciation of others she meets and works with in the process of growing as an artist is evident in all of Huifong’s tweets and posts on social media. While she may have carved out a name for herself at home as a portrait painter over the past three years – her work has been shown at exhibitions locally organised by Alliance Française and the Kaleidoscope Gallery – not much is yet known about her work beyond our borders. That is until she made a video appeal through Facebook for ideas on how to present her paintings of Lee Kwan Yew to the former Singapore Prime Minister as a gift for his 91st birthday. 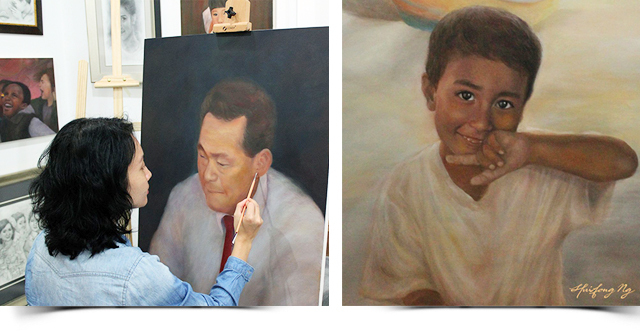 This courage led to her tribute portrait being showcased at The British Club in Singapore. Her hardwork also caught the attention of fellow Toastmaster, Armando Cristofori, who included Huifong in his book, 101 Artistic Toastmasters, published last July 2014. As if working on her world premiere was not hectic enough, Huifong recently announced the launch of her own book, A Cup of Simplicity, to coincide with the exhibition. It is a compilation of her work with poems and stories which has inspired her art and vice versa. 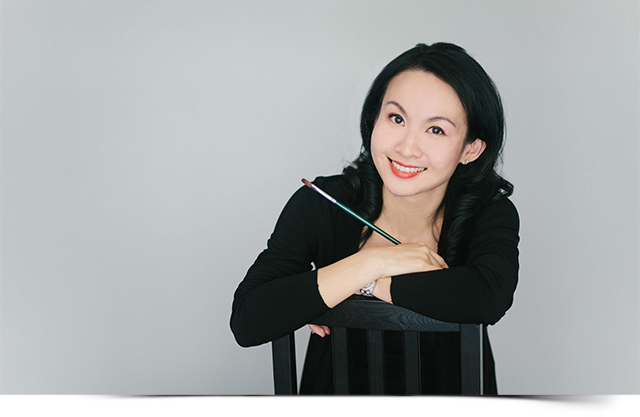 Between creating portraits, writing, publishing a book and promoting “Art and Emotion”, Huifong also finds the time to be an active member of Toastmasters and present on talks. How does she do it? “It (the exhibition) was two years in the making. And I had a lot of help,” she said simply and quietly, in her trademark dainty manner. One does not have to spend too long in Huifong’s presence, however, to grasp that underneath that grace and sweetness lie a very staunch will and a serious commitment to stand up for her passions and unbendingly go for what matters. In those rare downtime moments, Huifong likes to read – specifically biographies. ‘I am inspired by stories, life stories, human stories, and the emotions behind them,’ she said. Indeed, stories and emotions permeate her every art piece. As this story goes, the debut exhibition is truly only the beginning.